I have a confession: this is the first winter in a long while where I pretty much stopped climbing for a few months and let my attention & time be captured by skiing lovely powder in the Northern Rockies. My body changed - many of the changes I predicted, and some I did not. 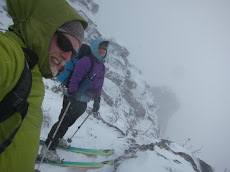 Now I am working to regain climbing fitness without losing the benefits of skiing in the backcountry all winter. I am constantly tweaking my exercise plan (I get bored quickly), but below are sets of targeted exercises and stretches that I find particularly useful. After a winter of backcountry skiing my legs are incredibly strong, my core muscles are in decent shape and my cardio vascular endurance is up. My legs are also significantly less flexible than they were before, especially all of the various muscles attached near the hip joint. My calves are always sore. My arms and fingers are, frankly, a bit wimpy. 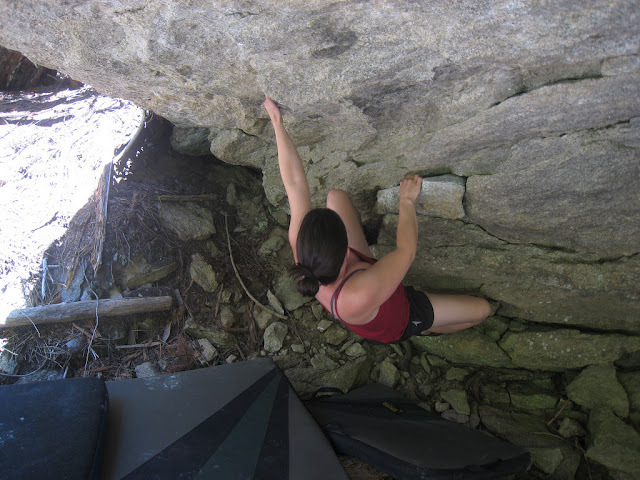 As I move into climbing season I want to keep the power in my legs and maintain/increase my endurance while increasing overall flexibility and gaining strength in my arms and fingers. I work to maintain strength in my quads, hamstrings, calves and other leg muscles by trail running. This is not quite sufficient to keep my body at the endurance level it had when I was skiing uphill for thousands of feet during the winter, and I look forward to including more long days in the mountains (hiking and skiing once the snow has stabilized a bit for spring skiing) later in the season because nothing beats 8 to 14 hour days in the mountains for overall endurance (and enjoyment). 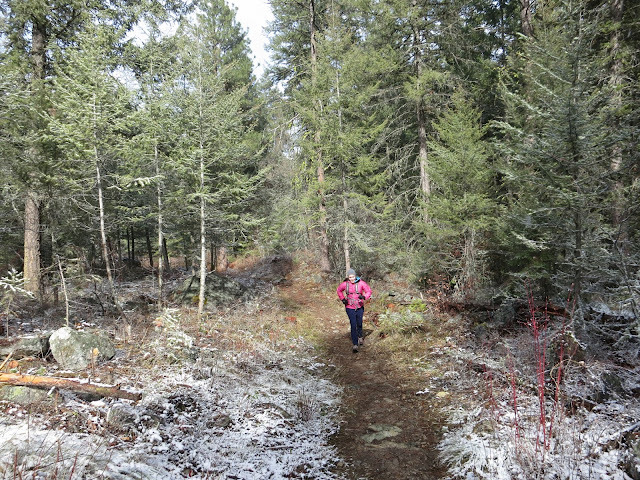 I find that the best trail runs for building and maintaining strength and endurance have rolling or variable terrain. Pushing myself to run up big, long hills helps with the fitness, but I can't yet run up a mountain. If the terrain includes those necessary hills, but also sections of flat, I can keep going much longer. I love finding new trails because the drive to see what is around the bend keeps me intrigued and focused on the scenery instead of focused on fatigue. I have found that running three miles through variable terrain at least three times a week keeps my level of fitness from slipping. If I increase mileage and intensity I can make fitness gains. What it takes to maintain and build fitness will be different for every body. It turns out that skinning uphill with the added weight of ski boots and skis on my feet really builds core muscles. Core muscles are essential to climbing, to keeping your feet glued to small holds, to balancing your body while reaching the next hold or placing gear and to climbing efficiently and decreasing the burden on fingers (sometimes). I find core exercises to be the most tedious and so I am constantly on the lookout for new alternatives to crunches to add to the rotation. Hanging leg lifts targets the upper abdominals more than most of my other core exercises. There are a wide variety of boat poses that really work the abdominals. I find that a few sets of 10 to 12 boat pose extensions are a good replacement for crunches. Running, hiking and carrying a heavy pack also yield high benefits for the core. It seems that the core, even more so than other parts of my body, benefits most from variety. Yoga is incredible for the core, since most of the exercises require core strength and control to perform correctly. Remember, core also includes back. Your back can get out of whack if it is weak compared to your abdominals. As any climber can tell you, finger and forearm strength diminish even when you take a week or two break from climbing. When you take a longer break, you have your work cut out for you to strengthen these areas without doing harm to your joints. 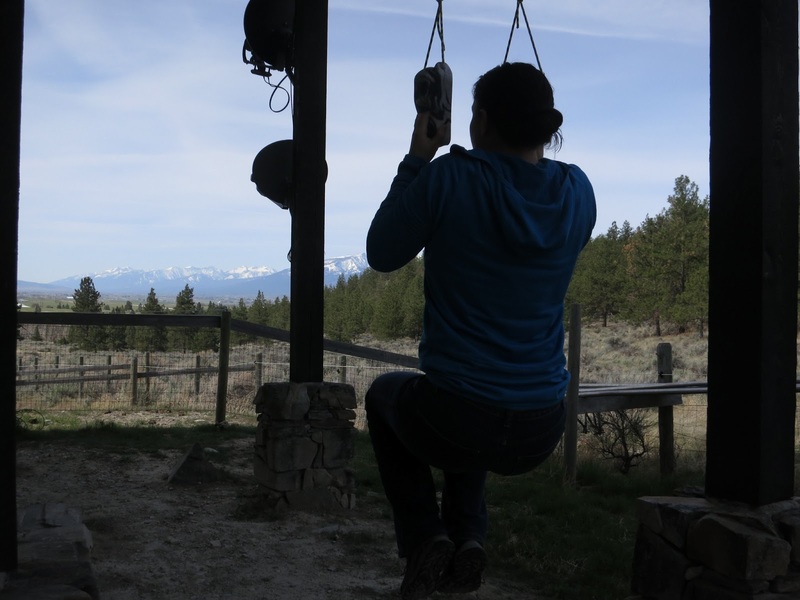 There is really nothing like logging lots of time climbing to get in shape for climbing, but there are exercises that can greatly help build strength and target weaker muscle groups to get a more even workout. I gain the most benefits for my fingers and forearms when I do workouts with a hangboard or rock rings. Right now I'm enjoying hanging on the Metolius Rock Rings off of our deck. The idea is the same for both rock rings and hangboard: do sets of hanging exercises that challenge you to hold onto small holds with your fingers. 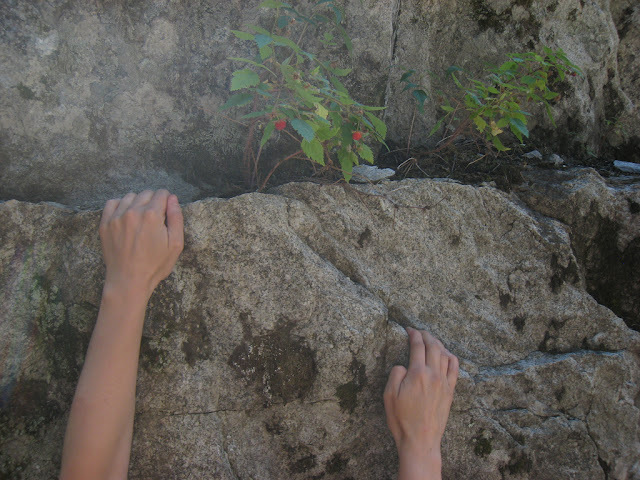 For both hangboards and rock rings, warm up your fingers on the larger holds before moving on to smaller holds. I do a few pull ups, or a couple sets of 10 leg lifts on the larger holds to warm up. Next, move on to smaller holds. My target hold is one that I can only hang on to for five seconds or less. Hang from the hold for as long as you can, fall off, and repeat. Do five of these five second holds in a row. Rest for a minute or two, and repeat the set. Do three to five sets. When I am done working the small holds, I move back up to the large holds until I can't hang any longer. When I am being very good and diligent, I'll go back to the rock rings or hangboard a couple times throughout the day. 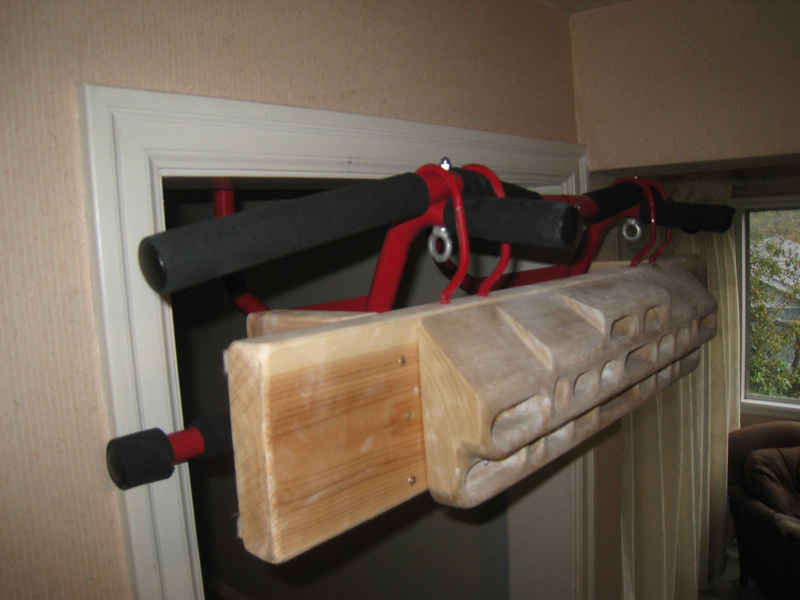 That said, only do hanging workouts once or maybe twice a week to protect those finger and elbow joints. Too much hangboarding can lead to tendonitis. Ryan wrote up an excellent post on building a hangboard setup so you don't have to drill holes in your walls. Hangboards usually have more hold options than rock rings to help you improve different hold techniques. I am a huge proponent of yoga for overall arm and back strength. An hour long yoga flow routine can work your biceps, triceps, trapezius and lats until you just want to sit in child's pose to recover. Variations on the sun salutation sequence can work climbing muscles and opposition muscles to protect your joints and build your climbing support muscles while increasing strength and endurance in your climbing muscles. A good climber is a flexible climber. You don't need to be as limber as a ballet dancer, but some measure of flexibility is necessary to get your feet up to holds by your knees or hips and to leverage those high steps, heel hooks and other footwork for all they're worth. Skiing turned my legs into burly legs of steel: steel is not very flexible stuff. I look to hip opener stretches and hamstring stretches to return some of that needed flexibility to help me be a better climber. Warrior poses, forward bends, pigeon pose and a host of other poses target my less flexible areas. If you don't know what these stretches are, do yourself a favor and check out some of the resources below. Finding a local yoga teacher that teaches classes you enjoy (not all teachers are alike) is the best way to get the most out of your yoga practice and keep your body safe in unfamiliar stretches. 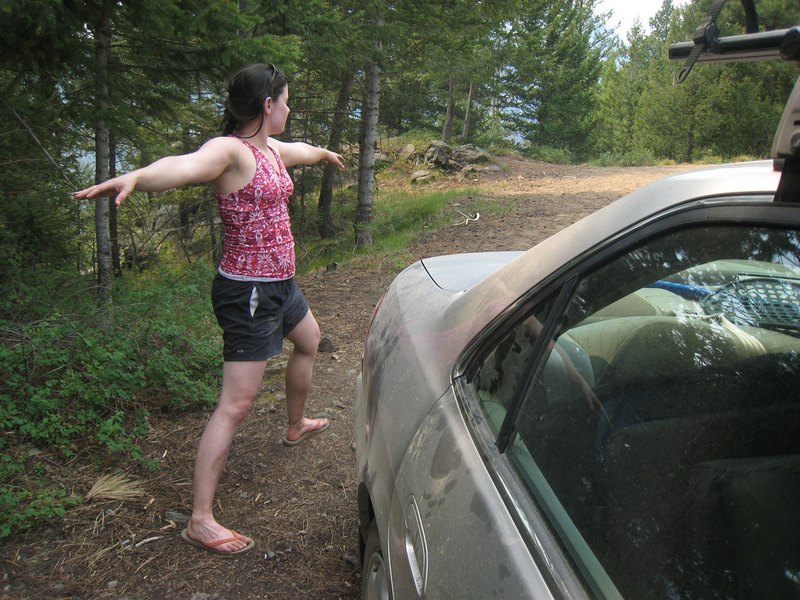 However, there are other great resources that help you do yoga at home or at a trailhead. Doyogawithme.com is a website with many free yoga videos for beginners through advanced practitioners. They also have videos of short classes to help you work on one area at a time such as the sun salutation or hip openers. Ryan and I like Tara Stile's video filmed at Joshua Tree to get us into balance poses that help with core, knee and hip strength. This video is also a good whole body workout and includes lots of hip openers. Yoga for Climbers is a good (and hard) workout created specifically for climbers. Here's a great blog post by Stevie Haston on lower body stretches for climbers. Excellent photos...though I may leave off the climbing shoes while stretching. Opposition exercises strengthen the muscles that support your climbing muscles keeping your body in balance and preventing tendonitis and other issues. Pushups are a great example of an opposition exercise: pushing, instead of pulling like in climbing, balances the muscles around your elbow joint. If you climb hard enough for long enough, there is a good chance that you will start to experience tendonitis in your elbows. Pushups help balance those muscle groups. Opposition exercises are a critical component of a good workout to get in shape for climbing. Stay tuned for our blog post featuring opposition exercises for fingers, elbows, shoulders and knees. My Shocking V-Tight Gel Review. Read here to see how it worked for me and what I liked and disliked! The safety of yourself, and those that you climb with should always be top priority, and a great way to ensure that safety is by making sure you have a great harness. this review - Selecting the right equipment to some might seem like picking a needle out of a haystack and while this is a tough job; we’ve taken out the stress in finding the best climbing harnesses for you. Shop from the world's largest selection and best deals for Men's Fragrances. Shop with confidence on eBay! Buy lightweight Evolution Walker with low maintenance brakes and seat is softly padded.